The red variety comes from Italy; the name means "wild vine". Synonyms are Abrostalo, Abrostine, Abrostine Nero, Abrostino, Abrostolo, Abrostolo Forte, Abrusco Nero, Abrusco Nero di Toscana, Abrusio, Color, Colorino, Lambrusco and Raverusto. Despite seemingly suggestive synonyms or morphological She may not share similarities with the varieties Colorino del Valdarno (Raverusto) or Muscat Rouge de Madère be confused. 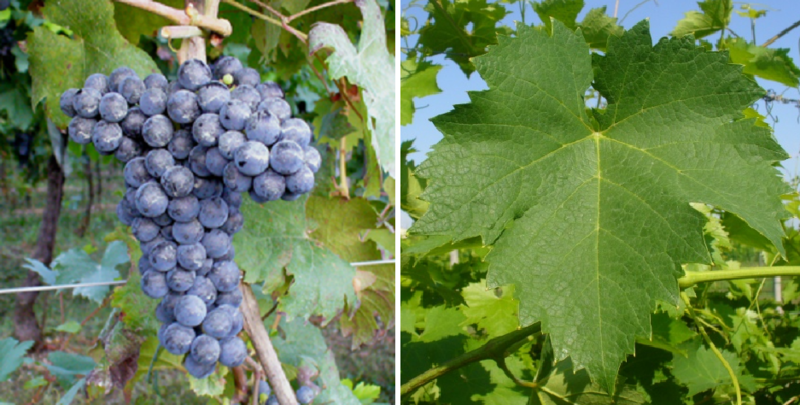 The medium maturing vine provides a colorful, tannin Red wine, also called teinturier (Deckwein) is suitable. She will be in the Tuscany grown where they are in DOC wine Monte Carlo is allowed. In 2010, 423 hectares of vineyards were recorded (Kym Anderson ). This page was last modified at 6 September 2018 at 13:08.